Whitespot is a potentially lethal disease. Hereâ€™s how to understand and treat it. Whitespot is a protozoan fish parasite. Its scientific name is Ichthyophthirius multifilis and in the US this is frequently abbreviated to its other common name of Ich. It’s said that all fish carry the whitespot parasite and that when fish are stressed, their immune systems are affected and, like us, are much more vulnerable. A major cause, especially in the winter months, is sudden temperature drop brought on by changes with water becoming much cooler than that in the existing aquarium. How do I diagnose it? Whitespot is one of the easiest diseases to diagnose, even by novices, as the fish become covered in tiny white spots. The fins are usually worst affected. The spots are actually cysts formed over the parasite itself, which isn’t visible to the naked eye. A severely affected fish will be visibly lethargic, flicking or clamping its fins, and basically much less active. If left untreated, whitespot can quickly kill a fish and spread to others in the tank. It will always be more visible on fish with solid, dark colours like Black moors or Black mollies, and much less visible on patterned or white fish, so always inspect all your livestock carefully. 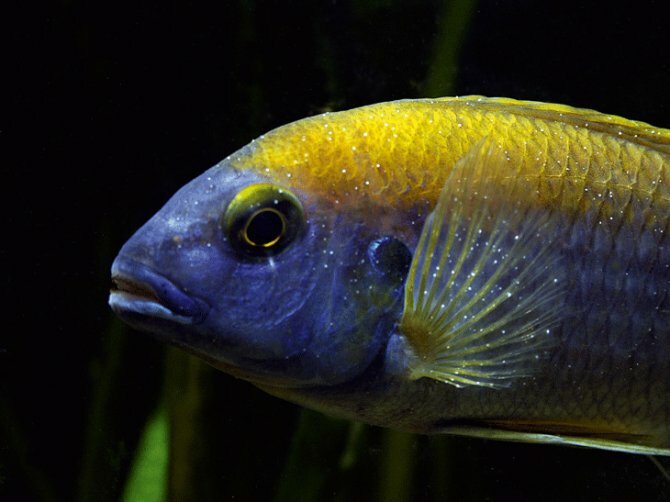 If one fish has whitespot, assume all your fish have it and treat the entire tank. How should I treat it? Whitespot is one of the most common aquarium fish diseases, and several manufacturers produce a liquid whitespot remedy available via your aquatic shop or website. You calculate the volume of your tank and treat accordingly, with many instructions advising dosing over a seven-day period to kill off the parasite at different stages of its short life cycle. Remove carbon from the filter when medicating. Other treatments should really be used alongside a whitespot medication, like turning up the water temperature to as high as 30°C/86°F if your fish will tolerate it, as this speeds up the life cycle of the parasite. Also add salt — which nine out of ten parasitic diseases don’t like. If you see any small white spots looking like grains of salt stuck to the fish act fast, as if whitespot gets inside the fish’s gills it will be in real trouble. A long-term prevention measure includes running a bare-bottomed tank (as the parasite has a substrate dwelling stage) and fitting a UV steriliser to your external filter.